Will there be live television coverage of the parade? The parade will be streamed via Facebook Livestream which you can access from our Facebook page. We will also be streaming the parade on YouTube which will also be available after the parade. Will there be port-a-potties available along the route? The City only provides port-a-potties at their own events. Our parade is obviously done with a lot of City cooperation, but we are a not for profit organization. We do supply port-a-potties in the staging area, at the Grand Stand and in the Shamrock Row area, but not for the 200,000 plus spectators. We do not sell food or beverages and are hence not required to provide them. The food and beverage establishments in LoDo do quite well that day and have adequate services for the public. Will vehicle entries in the parade be allowed to rev their engines, peel out, spin and perform other things like this? 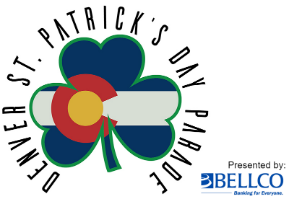 All entries must adhere to the rules and regulations put forth by the Denver St. Patrick’s Day Parade Committee, Inc., the Denver Fire Department, the Denver Police Department, and the City and County of Denver. The safety of the participants and guests on parade day is our highest priority. Please know that any unacceptable behavior is dealt with immediately by parade marshals and Denver Uniform Police officers alike. What is the protocol for entering/exiting parking garages for residents along the parade route? Streets in the area are shut-down beginning at 9:00 for the security and safety of the set up of the parade. While staging of the parade units is done in the Coors Field parking lot, there is no way around the street closures. It is also important to note that the streets open immediately upon the completion of the parade (following street sweeping protocols). Check with the Denver Police Department for direction in entering or exiting buildings along the route during the parade event. Is the general public allowed to park in the Coors Field parking lot on parade day? No. The Parade Committee reserves and pays for the entire Coors Field parking lot on parade day. The entire area is used for unit staging. While there is a designated area for VIP parking and transportation parking for some marching/non-vehicle performing units in Lot A, general traffic and/or parking is not allowed. For safety reasons, vehicles entering the area are limited and closely monitored. Is the parade route map correct? Yes, the map is correct! The parade starts in the Coors Field parking lot & this is how one gets back to the parking lot. Hence a big snake uncoils and returns from whence it came. Once again St. Patrick saves the day. How long do you expect the parade to last on Saturday? We have been blessed with lots and lots of entries over the years! The parade’s length is determined by its forward motion. That motion is dependent on the number of entries, performance times, weather, and lack of technical difficulties! While the overall time of the event has changed, you can bet the parade will last about 4 hours. Would you happen to know if there is a good place to park and have breakfast within walking distance of the parade? It is important to check with the individual restaurant you are interested in to see if they are going to be open and if they will be serving a full menu, or limited menu on parade day. Downtown parking is always at a premium and parade day is no different. Be sure to familiarize your self with RTD and other transportation options for ease in entering and exiting the area. Please check out our parking and transportation pages for more information. Do you have any VIP or reserved seating for the parade? We do not have any general public reserved seating for spectators on parade day. We encourage you to bring your chairs, arrive early, and stake out a great place along the route. Can we “tailgate” in parking lots or sidewalks around the parade route? The parade committee is not responsible for the areas surrounding or near the parade route. Remember, it is important you follow all the rules and regulations of the City and County of Denver regarding alcohol consumption or general “tailgating” activities. It is always best to check with the Denver Police Department to ensure you and your guests will have a safe and happy parade day! Can I exit from I-25 onto 20th Street on parade day? That exit should be open, as it is not shut down for the parade, however remember traffic in that area will be on the rise as the parade starts at 9:30 am. Can we set up our own bar for our own use? Please be sure to contact the Denver Police Department for their rules and regulations regarding consumption of alcohol along the streets and sidewalks in the area. I am a vendor and would like to sell things along the route, how do I do that? Be sure to check with the City and County of Denver to abide by their permits and licenses in this regard. We do not allow vending in the enclosed, tented areas along the route utilized by directors, staff, sponsors and guests of the parade committee. Do you have a hotel recommendation if we're planning on staying the night? Check out the official 2018 St. Patrick's Day headquarters hotel, the Sheraton Downtown Denver. Click here to go to their site and get rates and book a room! Thanks for supporting our sponsors! I would like to use my new drone to fly over the parade and record it, is that okay? The use of drones along the parade route during the parade is prohibited. The 2019 Denver St. Patrick's Day Parade is a 'drone free zone'. What's the deadline for submitting a parade entry? January 31st of each year.